The Met Gala is referred to as the Oscars for the fashion crowd, and my, it didn't disappoint! This year's fashion exhibit theme was "China: Through the Looking Glass" and featured different fashions from and inspired by the country of China. Celebrities had a lot of fun with the theme and drew from Chinese art and culture for the designs of their seriously fabulous dresses. There was plenty of vibrant red, silk, and general extravagance to go around. One sidenote: what's up with all the transparent dresses with strategically-placed jewels and embellishments? Kim Kardashian, Jennifer Lopez, AND Beyonce all showed up to the Met in sheer gowns that left very little to the imagination. This spawned a dinner conversation about whether or not the women were wearing any underwear and how comfortable (or rather, uncomfortable) those dresses probably were. Gorgeous, yes, but I'm a bit tired of the trend. To be fair, I probably liked J-Lo's the best. It featured a red dragon spiraling around her body and was therefore the most in-theme, but seriously, I'd love to see her try a fit-n-flare dress with a turtleneck and maxi skirt for once just to switch things up. Also, is it just me, or did this year's theme lend itself to some awkward moments of cultural appropriation? I'm happy to see Asian fashion getting the recognition it deserves (often times much more innovative than what we see in New York, Paris, and Milan) but the Met Gala outfits usually try to play off the theme, and I couldn't help but notice there were some strange moments. Queen of Met Gala fashion Sarah Jessica Parker's crazy flame headdress, for example, seemed a bit much. I appreciated the more subtle nods to eastern influences, like the gorgeous silks and jewel tones of the evening to the loud, caricature-like costumes that some chose for the event. 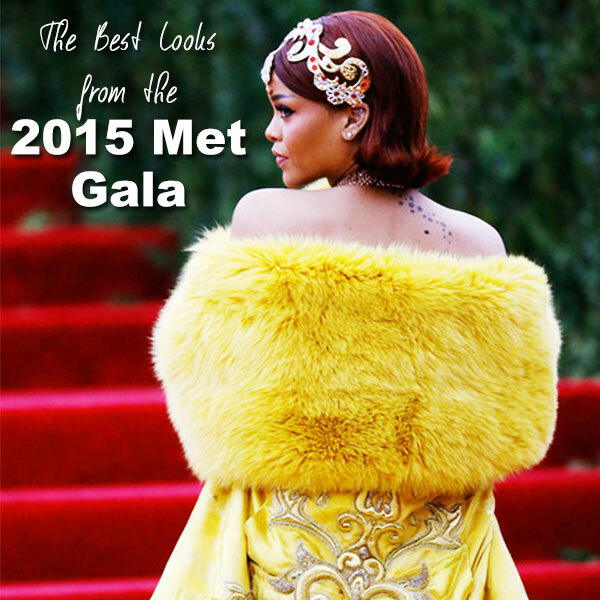 Who were your picks for best-dressed at the 2015 Met Gala?